At SSH Fire and Security, we get asked the same question by customers all the time: how many CCTV cameras is enough? Many people assume that it’s as simple as X number of cameras per Y square feet. Unfortunately, though, things aren’t quite as simple as that. 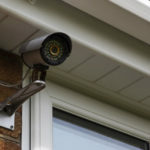 When it comes to installing a new CCTV system, there are all sorts of factors that need to be taken into consideration. While our expert installers will be happy to create the perfect design for your needs, we like to keep our customers in the loop, too. Read on, and we’ll explain the thought process behind our CCTV system design service- and help you get an idea of what will be the best approach for your property. Where to Start with CCTV Cameras? 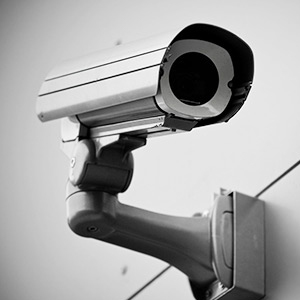 First things first, it’s important to think about why you want a CCTV system installed in the first place. Do you want to be able to monitor every inch of your home or business 24/7? Or are you simply interested in a deterrent to criminals? If you’re looking for the former, then a single, static CCTV camera simply isn’t going to do the job. With the latter, a high-tech comprehensive system will amount to overkill and cost far more money than you really need to spend. It’s therefore a smart idea to have some general overview of what you would like to get out of your new CCTV system. You should also consider how much you ideally want to spend on security, so we can keep this in mind throughout the design process. You don’t need to know all the ins and outs of the specific tech you need, but if you can give our surveyors some idea of what you’re after, it will help them to come up with the right system to suit your needs and budget. Next, we’ll need to consider the specific layout of your property, to figure out the best locations for your new CCTV cameras. The last thing you want is to end up with huge blind spots that can be easily exploited by criminals. To deliver the maximum bang for your buck, we offer PTZ (pan, tilt, and zoom) cameras as part of our services. Instead of remaining fixed on one single spot, these CCTV cameras can rotate to offer up to 360 degrees of coverage. What’s more, they also come fitted with motion sensors so that they are able to keep a close eye on anything happening around them. That way, criminals won’t be able to sneak past your CCTV cameras- instead, they will be left with nowhere to hide. While PTZ cameras are a little pricier than static CCTV cameras, they cut down on the number of individual cameras needed to cover a wide area, which often makes them the most cost-effective choice. 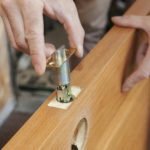 Following on from this, our surveyors will also examine all the possible entry points to your home or business, which could be taken advantage of by potential thieves. It’s always a good idea to install CCTV cameras to keep an eye on these, and we typically build our system designs around these entry points. This is the bare minimum needed to keep a property secure, and it also helps us identify the other key areas where cameras might be required. Thanks to their many years of experience in the security industry, our surveyors know the most common methods used by criminals to gain access to buildings. That means they can identify the best positions for CCTV cameras on your property, and ensure you don’t get caught out. Finally, you’ll need to consider whether or not you want your CCTV system to be continuously monitored, to provide some extra security for your property. We’re happy to include this as part of our service, as we have a dedicated monitoring system that allows us to keep a close watch on our clients’ properties. If any intruders are detected, they can be warned off with a built-in intercom system, or we can contact the police to have them on the scene ASAP. Many of our customers greatly appreciate the extra peace of mind that comes with knowing there’s someone keeping an eye on your property for them. However, this is an optional feature, and we won’t try to push you to purchase services that you don’t want. With monitored systems, we find that multiple cameras both inside and outside your property work best, as this allows our team to observe a larger area. On the other hand, if you’re planning on pairing your CCTV system with an intruder alarm or other security features, then it may be the case that you need fewer cameras. The alarm will catch out any would-be thieves, and the camera can then capture them on film to provide evidence to assist the police. Arrange Your Free CCTV System Survey Today! As you can see, then, a lot of thought goes into all of our CCTV system designs, as we think long and hard about what will work best for each individual customer. 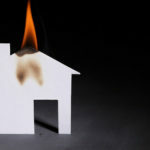 Whether you’re an individual looking to keep your home safe and secure, or a business wanting to protect your assets, you can rest assured that SSH Fire and Security can deliver the results that you need. Our surveys ensure that we get things just right- and best of all, we carry them out free of charge! All you need to do to arrange your free, no-obligation survey is get in touch with SSH direct on 0808 164 0280, and we will be happy to set up an appointment at a time that suits you best. Our expert surveyors know all there is to know about CCTV systems and will talk you through all the options available to you. By working together, we’ll build the best CCTV system possible for your needs and budget. Get in touch today to find out more about what we can do for you!